Spring is usually the season where most ladies get a lighter hair color or at least highlights. 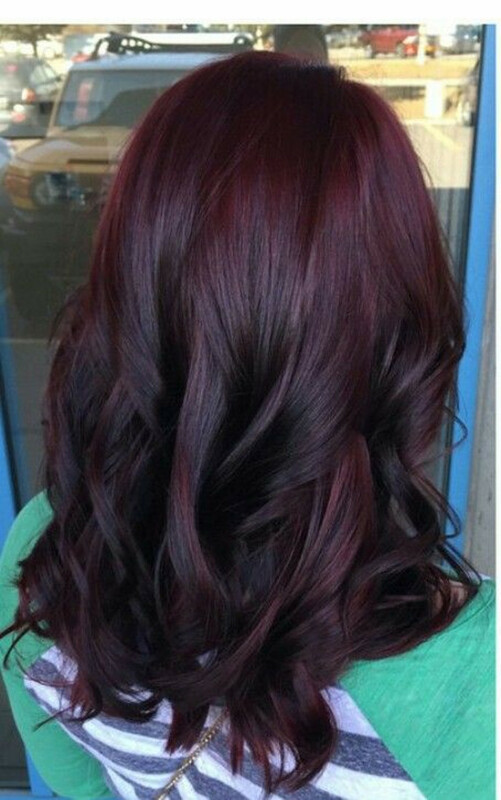 Many of us love the idea to get a new more vibrant hair color with the change of the season. When it comes to spring, it turns out that ladies aren’t following the old rule anymore. 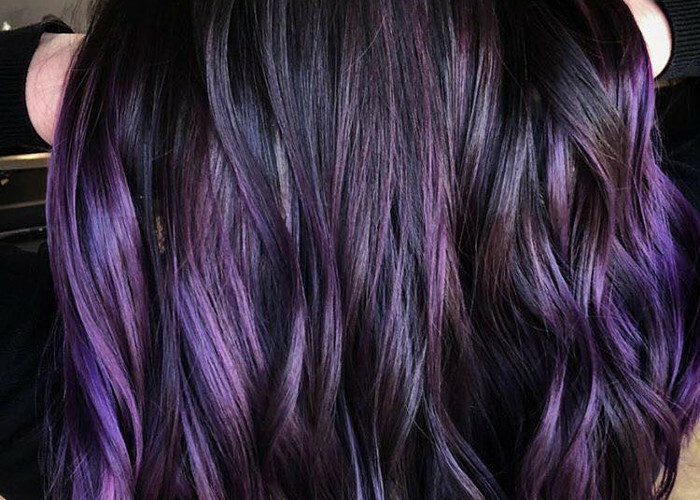 The trendiest spring hair color on Pinterest right now is Blackberry hair. This information comes as a surprise since this is not a typical spring color. We have come a long way with bright and colorful spring hair color trends that it seems some ladies had enough of them. 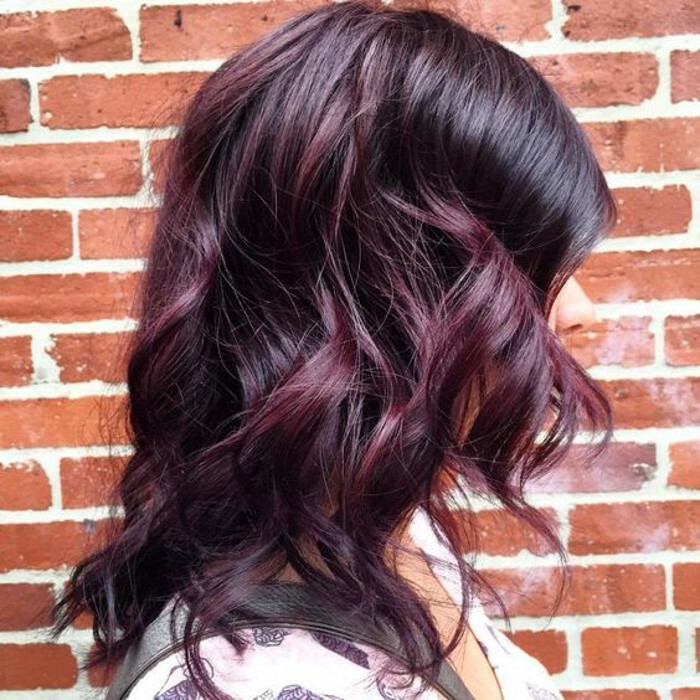 The cool, dark blackberry hair dye jobs beat all the traditional spring hair color trends as the most pinned on Pinterest. What’s so special about this hair color? First of all, it’s most certainly the easiest way to stand out when everyone else is getting a lighter dye job. Second, you and your hairstylist can get creative and come up with a custom mix. The color options range from dark purple and blue tones to a bit warmer burgundy ones. Anyway, you should keep your custom mix on the cool, dark side if you want to become a proud owner of blackberry hair color. One of the first who has put this hair color trend on the map was Rockville, MD-based hairstylist Meghan Schipani. 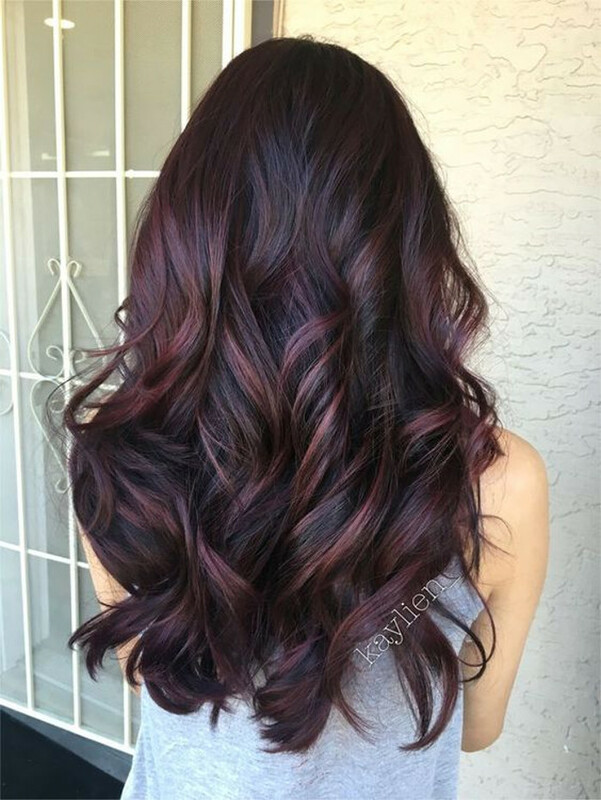 She created a bold blackberry-hued hair color combo by using the infamous balayage highlighting technique. 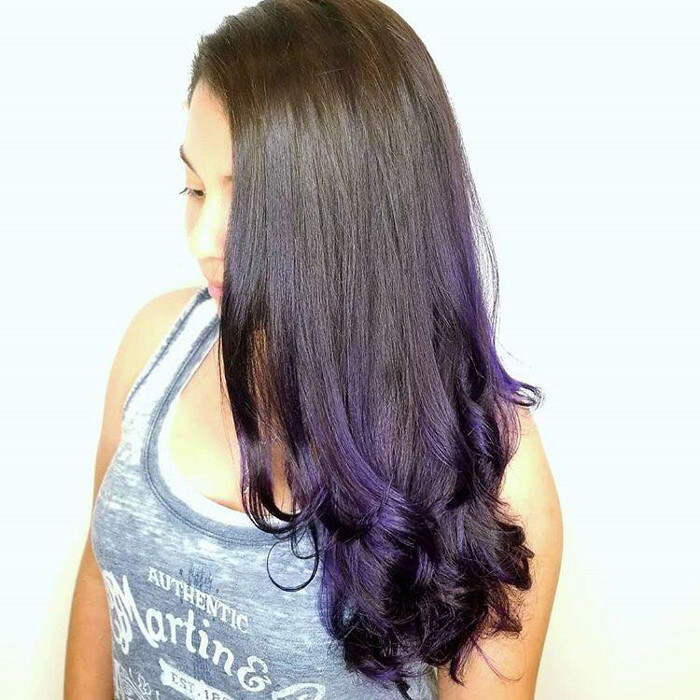 Her client had a dark brown hair, so Schipani highlighted only the strands she was going to cover in purple. It turns out that you can leave your roots untouched and avoid damaging your hair too much. 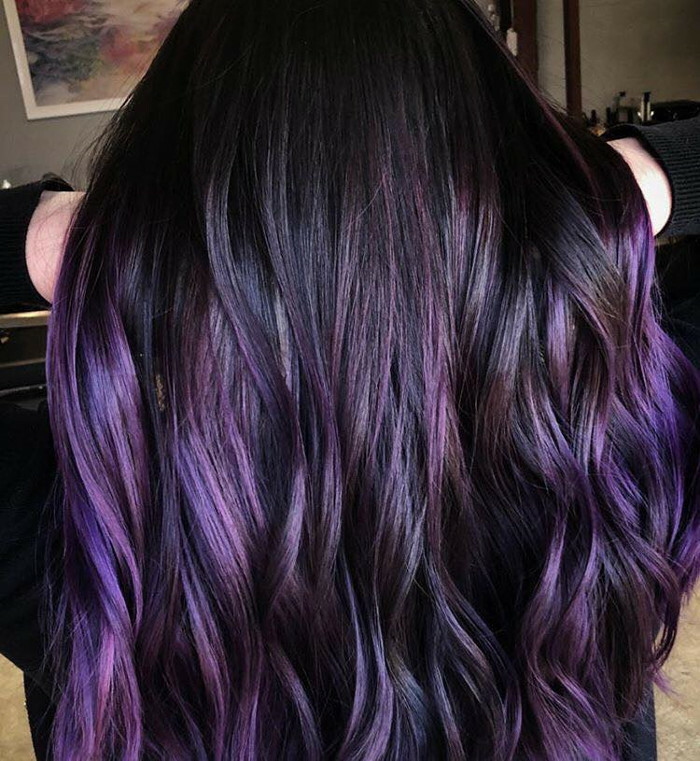 The hairstylist used 3 shades of purple to give dimension to her client’s hair. Meghan revealed that she used L’Anza Haircare Vibes hair colors for this look. 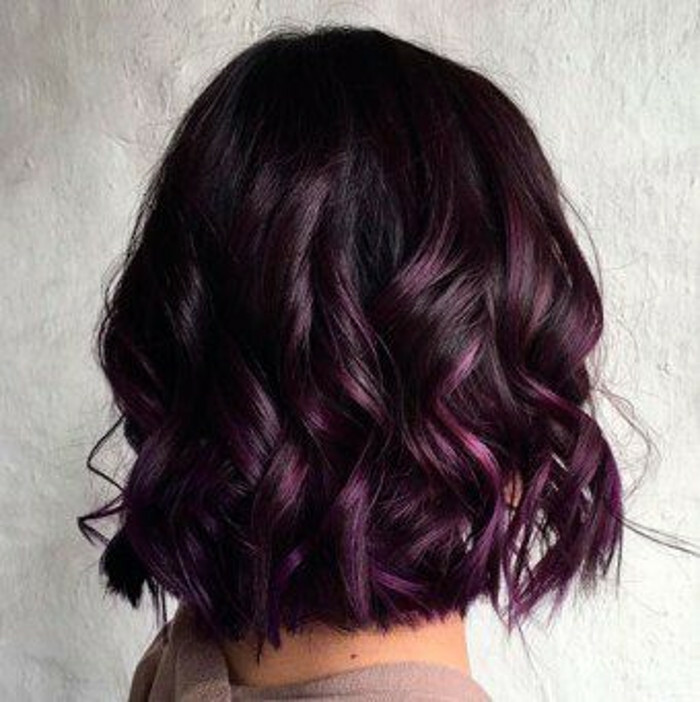 The coloring process might sound challenging, but the blackberry hair color is very low-maintenance. Since this is a balayage look, it grows out beautifully. 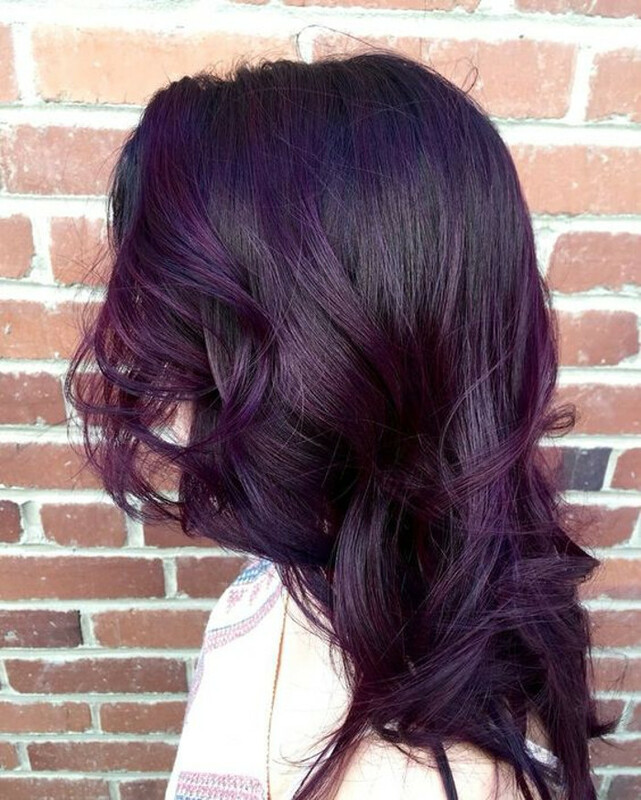 This dark purple hair color fades into pretty lavender, so you don’t have to worry about frequent touch-ups. The pastel lavender tone will still look amazing, so it seems that the blackberry hair color would be a perfect choice for busy ladies. To keep your blackberry dye job vibrant for a longer time, hairstylists advice using sulfate-free shampoo and conditioner. 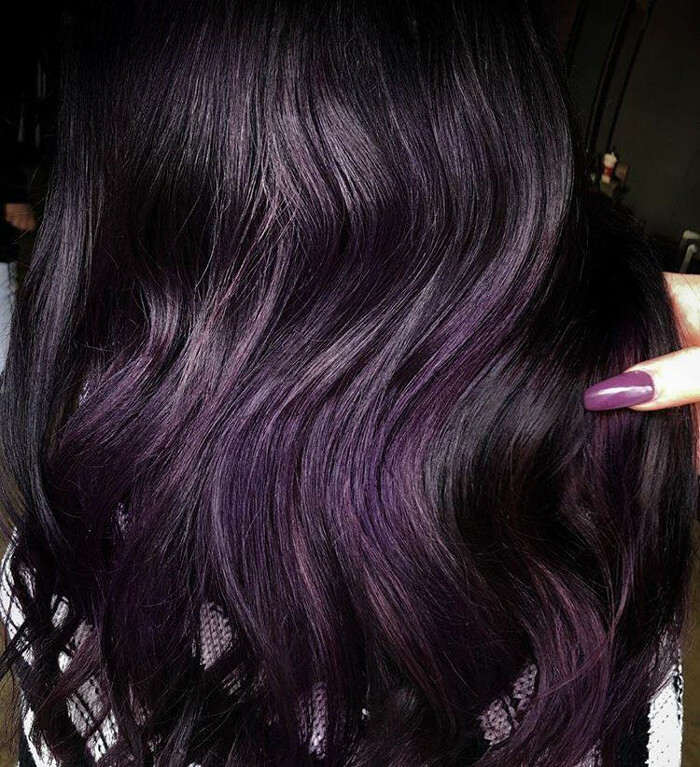 To preserve the fresh purple tone you can also use a colored conditioner.